When your sneakers are what the opposing team is thinking. 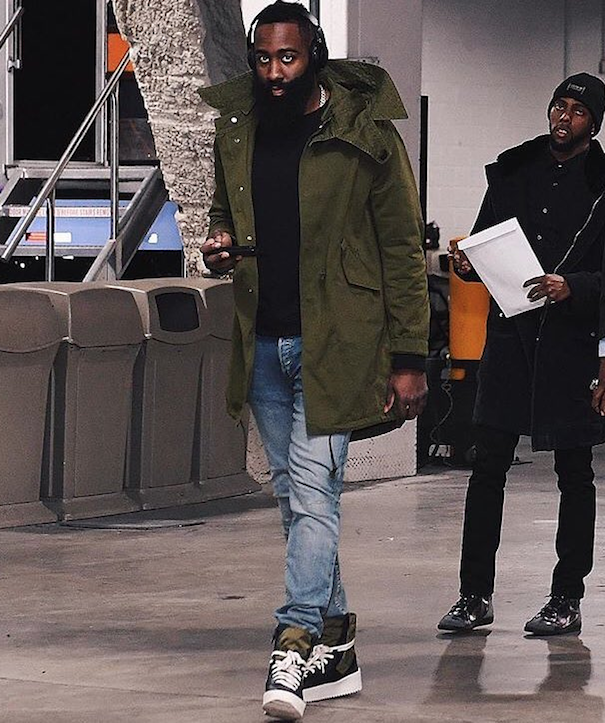 James Harden wearing Fear of God sneakers before facing the Brooklyn Nets. James Harden at Barclays Arena, image via.